Most recently, Mark released his first hour special, Don’t Be Yourself, for Comedy Central, EP’ed by Amy Schumer. Mark has been featured on Comedy Central’s Roast Battle, Louis CK’s Horace and Pete, Inside Amy Schumer, Big Jay Oakerson's What’s Your F@%king Deal on Seeso, and Ari Shaffir’s This Is Not Happening. Mark has appeared on Conan, John Oliver's New York Stand Up Show, @midnight, and has filmed a Comedy Central Half Hour special. 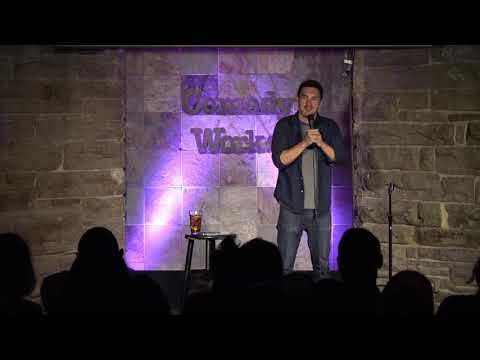 His album, titled Still Got It, premiered at the top of the iTunes comedy charts. .
Mark does comedy clubs and colleges across the country and has been involved in many festivals. Mark is a constant podcast guest, appears often on Sirius XM radio, and when home in New York Mark runs two comedy shows and two podcasts. His podcast with co-host Joe List,Tuesdays with Stories!, also tours the country. Mark named to Esquire’s “Best New Comedians 2012”, Splitsider’s “Top 10 Up and Coming Comedians on Each Coast”, and Time Out New York’s “21 New York Comedy Scene Linchpins”.